Your friends and neighbors will be in awe of this gorgeous grass! 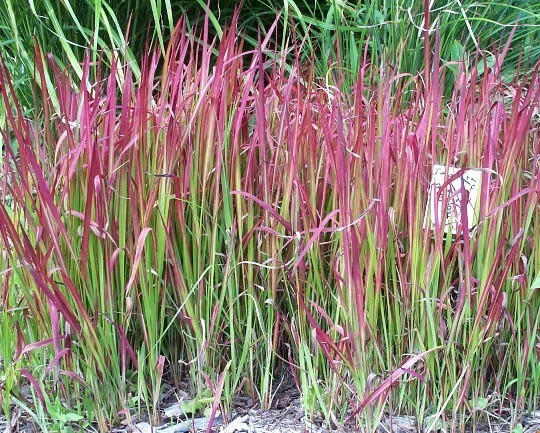 The Japanese Blood Grass is a showpiece within itself. The plants grow to about 12 to 15" tall and the tips are brilliant red. They grow fairly fast and in one season make a nice clump. They grow best with partial shade and adequate moisture. A couple does of high nitrogen fertilize twice a year keeps them thriving. 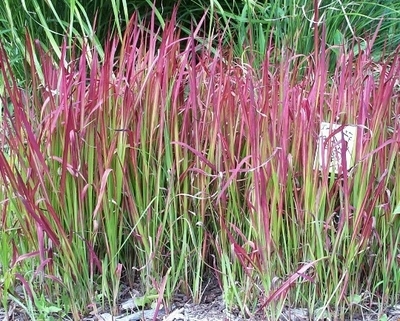 Japanese blood grass is hardy to zone 5. They are virtually maintenance free once they are established, no pests or diseases bother them. This is an elegant landscaping plant. Looks awesome when planted in front of the larger variegated ornamental grass. When Japanese blood grass is grown next to ribbon grass and lambs ear, the contrast is striking. Hardy in zones 5 to 10. Our ornamental grasses are currently growing in pea pots currently 5-8'' tall when shipped.. They are extremely hardy and ready to plant in your garden now. They will be shipped bare root with moist material around their roots. You will receive two plants .